Farm for your Life is an interesting indie experience that combines zombies, farming, tower defence and even running your own restaurant. All of these gameplay elements are wrapped together into a cute graphical package and a very affordable price. Set in a game world where a heavy storm has struck your quite town and in turn unleashed the living dead it’s up to you the player and the few survivors to rebuild. The path you take in this rebuilding process is completely in your hands from designing your own character to choosing the parts of the game that you give the most attention. 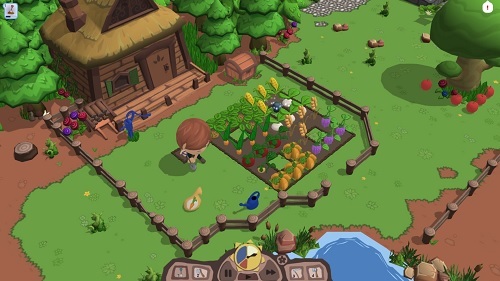 Growing your farm with all sorts of fruits, vegetables and eventually animals players will get the resources they need to manage the restaurant side of gameplay. This restaurant will grow with your farm as you upgrade it and make fun new dishes with a Fruit Ninja inspired mini game. Defending your farm assets from the impending zombie invasion is done by building mazes and towers which creates a very tower defence feel to the game. 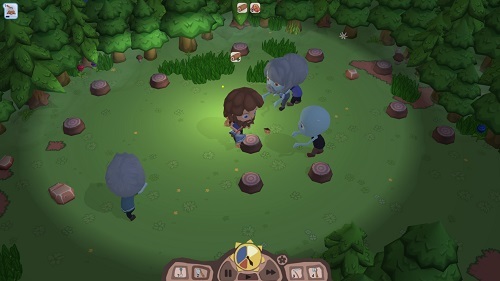 Players will also have to battle zombies head on from time to time or avoid them while out gathering resources. With all the elements that are involved in the game players will always have their hands full in one way or another, there is literally no waiting in the game which keeps you much more involved than similar farming games. With it’s family friendly setting (no weapons), lengthy campaign of around 6 hours and the option to play a farming only mode Farm for your Life has appeal to all sorts of gamers and is definitely worth adding to your collection. Farm for your life is guaranteed to keep you entertained with its fun, unique and varied gameplay that comes at an attractive price point. Combines farming, tower defence and restaurant management. Grow crops and animals to provide food for your restaurant. Peaceful mode to take the zombies out of the picture. Attractive price point for the amount of content.